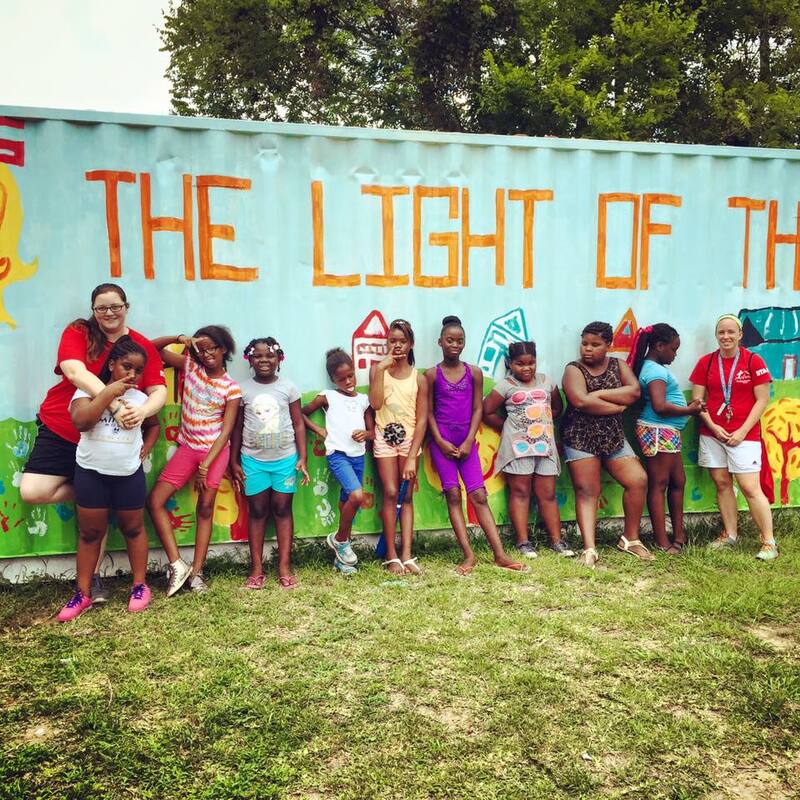 Light of the Village | The Light of the Village is a front-line, hands-on Christian Ministry designed to share the love of Christ to individuals impacted by crime and poverty in the Alabama Village and surrounding neighborhoods. 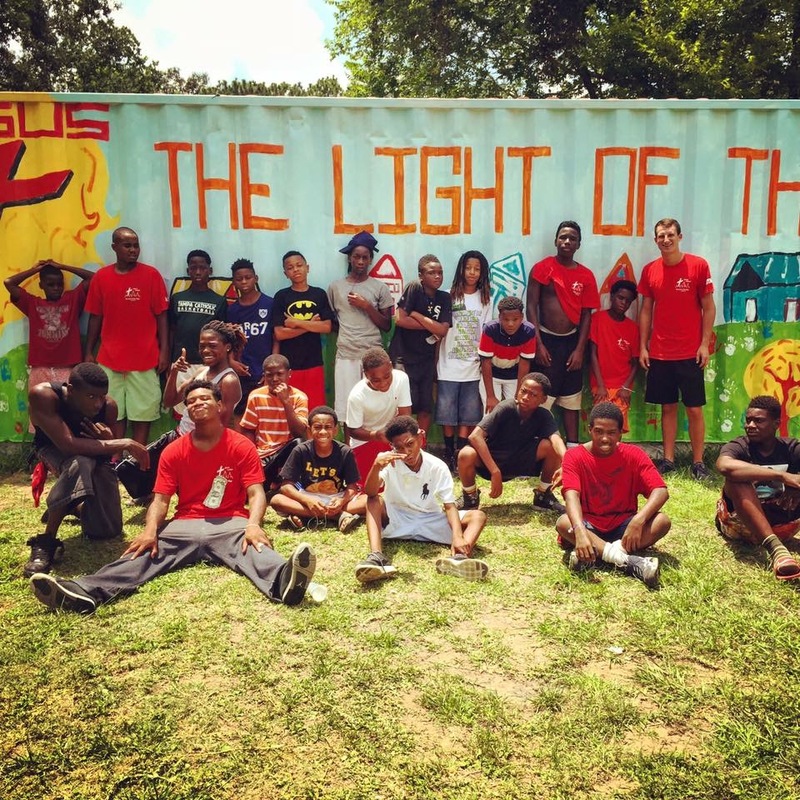 The Light of the Village is a front-line, hands-on Christian Ministry designed to share the love of Christ to individuals impacted by crime and poverty in the Alabama Village and surrounding neighborhoods. Over the last few days, I’ve been trying to find the best way to summarize my time at the Light of the Village. I wanted to give anyone who reads this the Cliff’s notes version of my six-year experience and hopefully inspire them to get involved. Just know this: God does not call the prepared, He prepares those He calls. I moved to Mobile to join my sister Katie at the University of Mobile in 2010. I had played college basketball previously and wanted to continue my athletic career, but sometimes things work out a bit differently than we plan. 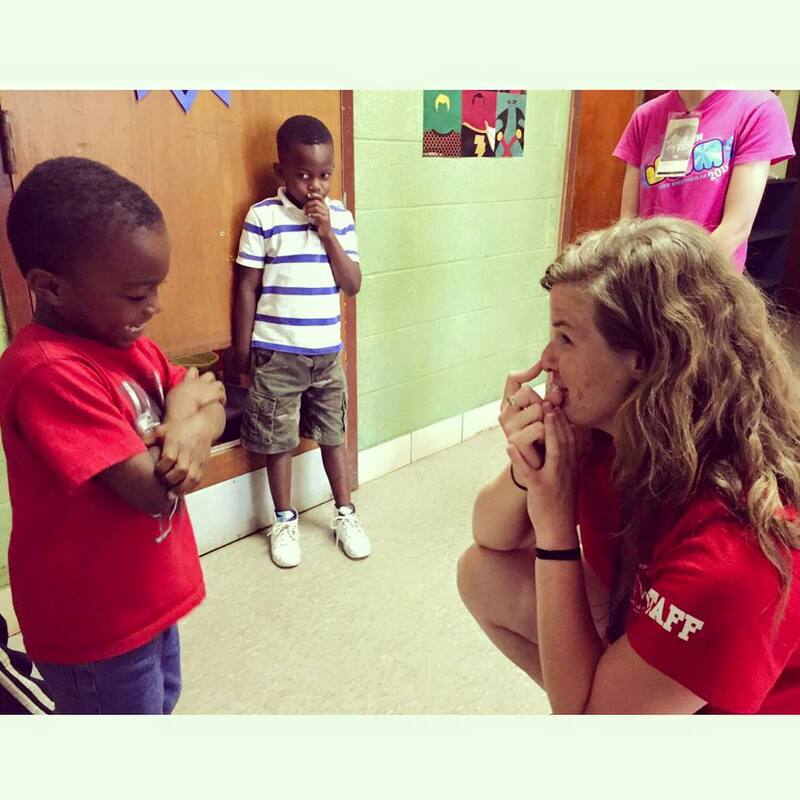 Katie’s roommate, Morgan Carnley, asked me if I would be interested in volunteering with the after-school program at LOV, and honestly I was hesitant to go. I wondered what difference I — a guy from a small Alabama town — could really make. Against my own hesitations, I agreed to help out. From the moment I arrived on campus, all of that fear disappeared. As soon as you leave your vehicle at any program at LOV, you are approached by at least 10 to 15 kids just waiting for your arrival. They are all shouting “Pick me up! Push me on the swing! Play catch with me! Let’s play basketball/football/hide and seek/tag!” You really do not know how much something as simple as playing catch means to these kids. The fear I had previously felt was replaced with hope, joy, and love. I knew this was where I was meant to be — God prepares the called. After my first year of volunteering, Morgan and Dolores (a.k.a. DLo, as the kids know her) asked me if I would be interested in coaching a basketball team since I was no longer playing on a college team. After putting on a few summer basketball camps, I felt we could definitely start something special for these kids. I still doubted if I could really make a difference, but God prepares those He calls. In 2011, we started the 16-19 year old LOV Lions team. The following year we changed the age group to 12-15. The Lions were incredibly talented each year I coached, and we ended in 2016 — my final season — 8-0. God always has a greater plan than you can ever imagine, and He always remains many steps ahead. I am just an average guy from a small town who God used for the Light of the Village. I loved every minute of coaching the kids and wish only the best for each of them. I still miss the van rides, hearing the kids freestyle, the crazy dance parties that had the van shaking, the first few practices where I got to meet the new kids, and seeing the alumni (kids who have been through our program and have become successful). I still miss it all. I could never thank Mr. John and Mrs. Dolores enough for the opportunity to serve as the basketball coach for the Light of the Village Lions. For everything you do at LOV, and being a living example of Christ every single day, I am so grateful. Many people are not up for the challenge, but John and Dolores are. They have setbacks, like everyone else, but that never stops them from moving forward. Even outside of basketball they have been family, and have been with me through both good and bad times. Ever had a time when you really just did not comprehend God’s timing? ME TOOOOO!!! For me, it was being called into children’s ministry. I had no idea where I was going or what doors would be opened, all I knew was I wanted to be involved in Light of the Village. From day one of volunteering at LOV, I knew this was home. Little did I know, ten months later I would be packing my bags and moving to Mobile to be an intern and serve Christ. From the second God started leading me through the application process, it was nothing but bump after bump in the road. I persevered because I knew that LOV is where the Lord was calling me. I always referred to Proverbs 22:9 to keep me going and keep the focus of leading kids to Christ. In the middle of March, a curve ball was thrown for my family. My mom was diagnosed with cancer. At the time, I withdrew my application. God quickly made me realize by many, many scriptures (Hebrews 10:35-36) that if I endured in His work, He was going to take care of things at home when I left. So with trust and faith in him, I put my application back in. Needless to say, I am interning!!! Blessings? How is that a blessing? Well… God works in mysterious ways. It just so happens I am at Camp Faith. The name of the camp is a constant reminder for me to not lose my faith in Him and fight this spiritual, emotional, and physical battle. I also have 39 wonderful little blessings enrolled in my group. I am the leader of the Littles group. my kids are 6-7 years old. 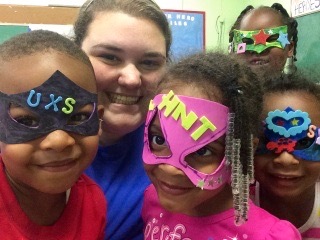 Each child can for sure put a smile on my face and no doubt remind me why I serve in the ministry. 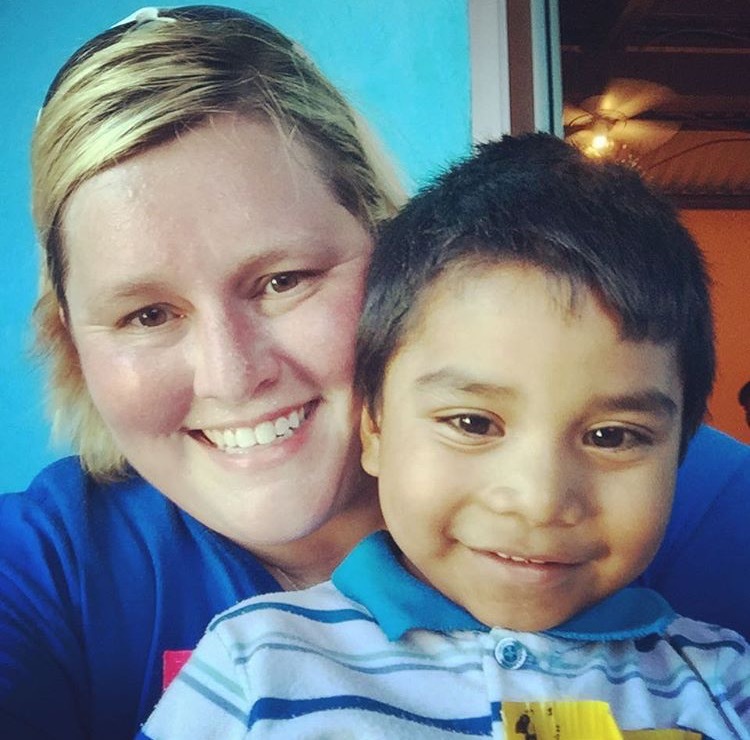 Through letting the Lord speak through me, one child has come to know Christ so far. It is such a joy to be able to work with a wonderful group of kids and staff, and I never could have imagined this experience any better. We are coming into our fifth week of summer camp and man oh man has it been a unique journey so far. Children are getting used to each other, and we are making personal relationships with everyone. Christ is most definitely at work in every single camp. This journey has been so incredibly humbling and life­-changing all at the same time. Every week we learn more and more new things about the children and ourselves. God has been on the move in my girls’ group especially now since we are becoming more familiar and comfortable with each other. Going into camp the very first week, I was completely and utterly terrified to the core. I wanted to go home the first week and call it quits, but the Lord had other plans. I had never met most of the interns in my life; I knew only my friend and her brother. Now, I have made so many lifelong friends that it’s unbelievable, and I believe that God placed these people in my life for a specific reason. The Lord placed me at Camp Hope, and I couldn’t be happier. Do we have our crazy and chaotic days? Oh, for sure. But do we dwell on it? No, we move on and ask for the Lord’s guidance. There has also been a lot of crime in the area recently. Where there’s crime, there are people who need to hear the Gospel of Christ. Not only do these people need to hear about Christ, but their children need to hear about Him as well. 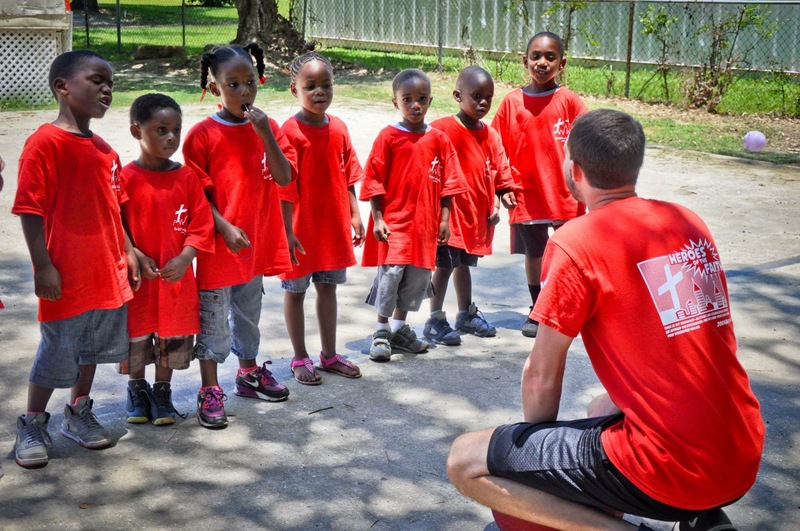 Our main goal is to reach as many kids for the Kingdom of God as possible. I’m blessed beyond measure to be able to get to call God my Daddy. He has been working on me a lot this summer. Getting to work with the older girls this summer is such an awesome experience. I can talk to them about stuff that’s going on in their lives, and I can take what they’ve told me and turn it into a Gospel presentation. Investing in these girls’ lives and going home and praying for these girls every day makes me ecstatic! 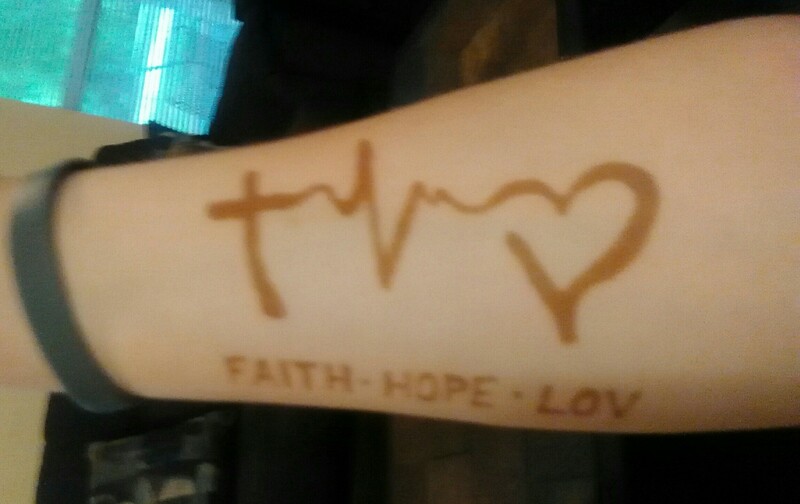 The Holy Spirit has definitely been challenging me this summer through my girls and revealing my true self. I’m a daughter of the One True King! I’m definitely going to be applying next summer, because I’ve never been this happy about the love my Savior has for me. God has so many plans for my life, and I can’t wait to see what He has in store for my future. Week one is officially over and in the books. As I am preparing my lessons for the week two, I also find myself preparing my heart for these kids. On our first Thursday staff meeting, Mr. John asked us to describe the week in one to two words. At the time, I chose roller coaster. It was a really good week, but it was also stressful and tiring. The first week was definitely one of trial and error. By the end of the day Friday, however, none of those things mattered. I was filled with an overwhelming peace, shalom in a sense. See, there is a sense of peace that covers you when you are exactly where God wants you to be. It is that peace that satisfies you to the point that no matter what bad thing happens or doesn’t go to plan, you don’t care. It is still a good day. You know that you have received that peace when you are so exhausted from the trials that this week has given you, but you know that you could not be happier than you are at this moment. This is the exact feeling that I have each and every day. If Mr. John were to ask me right now to describe the first week in one to two words, I would say absolute contentment. This summer I encountered an individual who was inquisitive about how I got involved at LOV. My response was quite simple. I came one day, and I kept showing back up. I simply wanted more…more of the kids, more of God moving, more of His love being poured out, more fellowship with believers who are all-in, more of the feeling of the Holy Spirit moving and working, more truth and love in word and deed, more of the Light of Christ in a dark community, I just wanted more of God. 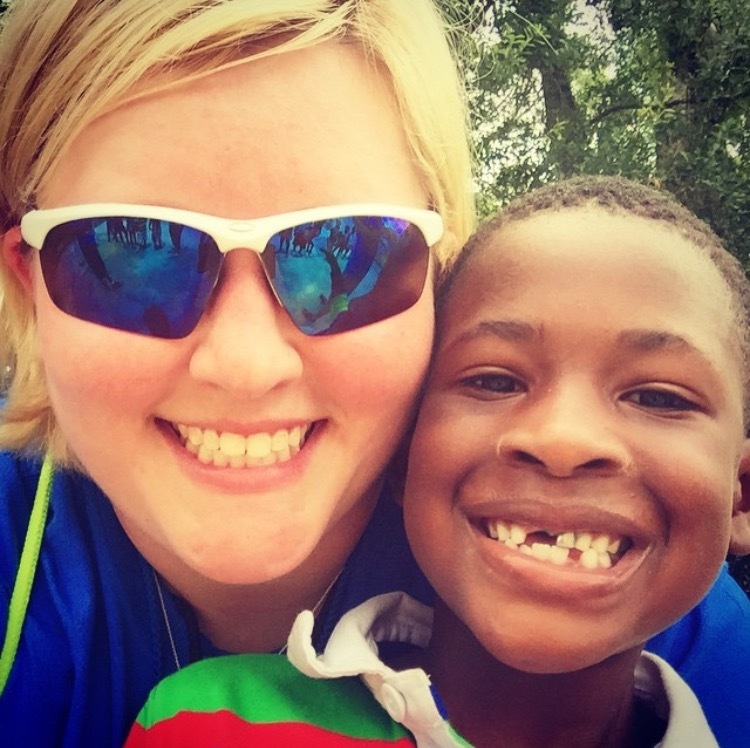 I feel the strongest connection with God on the mission fields abroad and in my moments at LOV. He is in their faces. He is with them in their struggles. He is with them in their successes. He is with them in their losses and their victories. He is with us always. I am like a sponge seeking to soak up the essence of my Savior…and I find Him there. As I reflect back over the summer and our mission trip to Juarez, Mexico, I am left in awe of the way in which God is capable to love and comfort me in such a perfectly personal way while doing the same for everyone else. He knows each of our kids and adults at LOV and where they are not only in this life but also in their relationship with Him. Summer camp is a beautiful orchestra of laughter, smiles, tears, rain, storms, sunshine, grace, redemption, song, dance, praise, and prayers. The campus is so alive and buzzing with not only the familiar sounds of cowbells, van horns, LOV classics, but most importantly the Gospel of Christ. I am so blessed to be a witness to the Glory of God on display in the Alabama Village. Love has an address. I have seen lives change and horizons expand at this special place. Our team for Juarez was divinely woven together to create a tapestry of love to be shared with the people of Mexico. I have seen God’s love in action through the service of our Teenleaders to a people group which does not share our language of English, but clearly shares the language of Christ. I have been so proud to see them blossom into disciples and missionaries abroad. 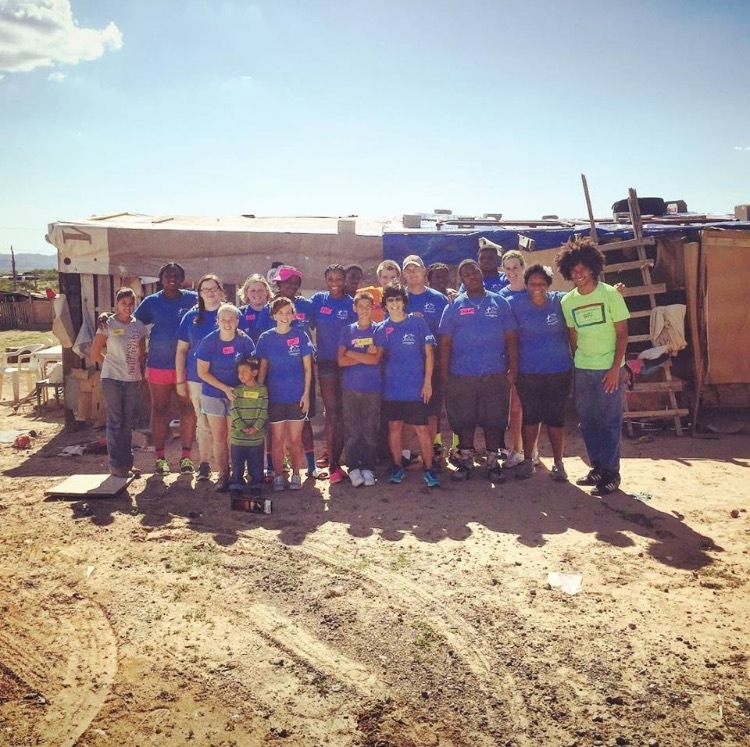 They each used their God given talents to share the love of Christ with the people of Juarez and El Paso. 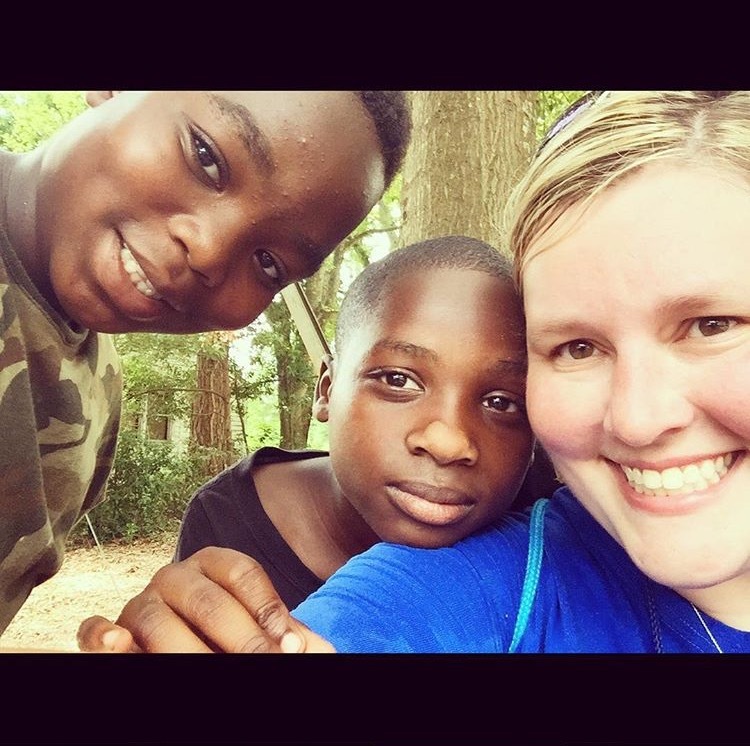 I did not know what God had in store for me five years ago when I started volunteering at LOV…but I do know this: I want more. *Sidenote: We need to take a moment and brag on Kristen. She’s our resident photographer. The vast majority of the photos you’ve seen online are her handiwork. God’s given her a beautiful gift, and we are so thankful she shares it with us! Why are you here? This is a question that you hear almost every day at Light of the Village. 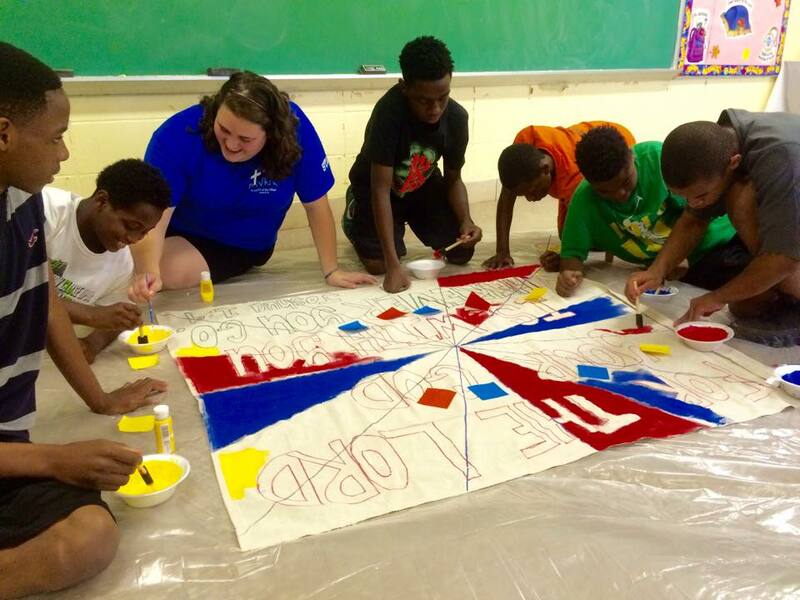 Whether you are an intern or TeenLeader, a volunteer, or a kid that comes through our doors: Why are you here? The answer to this question is different for each person, but each is equally important. The truth is that God has called each person that sets foot on the campus of any of our camps there for a reason. We might not know it right away, but it will come to us when we least expect it. 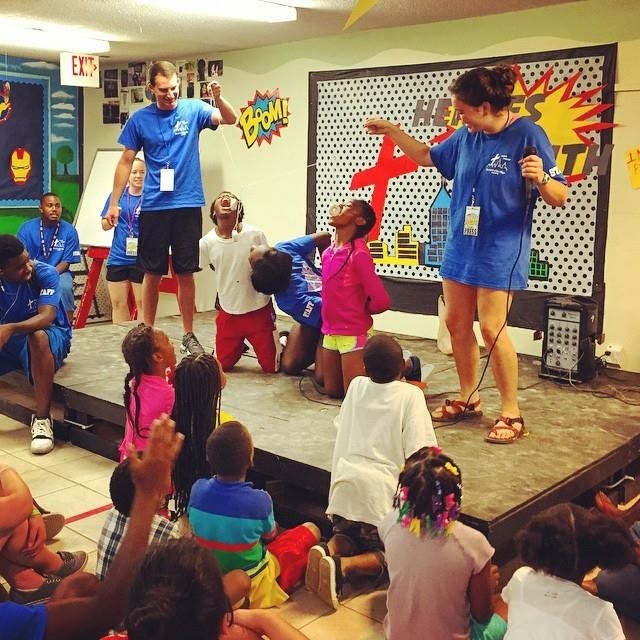 When I started my second year at Camp Hope this summer, I thought I knew what my answer was. It was the answer I found last summer. I simply said to myself that I was at Light of the Village because God was calling me to spread the love of God to kids of this community. This answer was not wrong, but I found as the summer went on, there was much greater depth to be revealed. 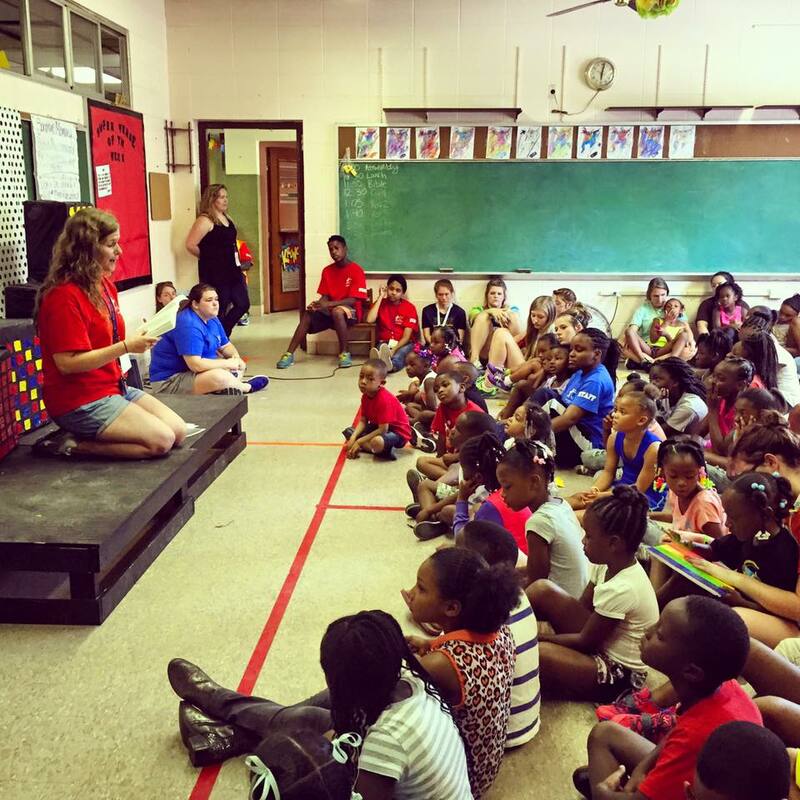 To put it simply, I was at Hope to not only love on children and be a vessel for God’s Word, but I was there to learn. To say that I went into camp distracted this summer is an understatement. I had so many things going on outside of camp that I struggled to stay focused, and it showed in my actions everyday. I was frustrated when Bible study didn’t go well, when I couldn’t get the Littles (6 & & year olds) to settle down in art, when any of my Older Girls gave me an attitude, and I couldn’t find the energy to push myself through these difficult times. It took me feeling completely drained to ask God what I was doing wrong, and He showed me by reminding me where I was and how I needed to stay focused. 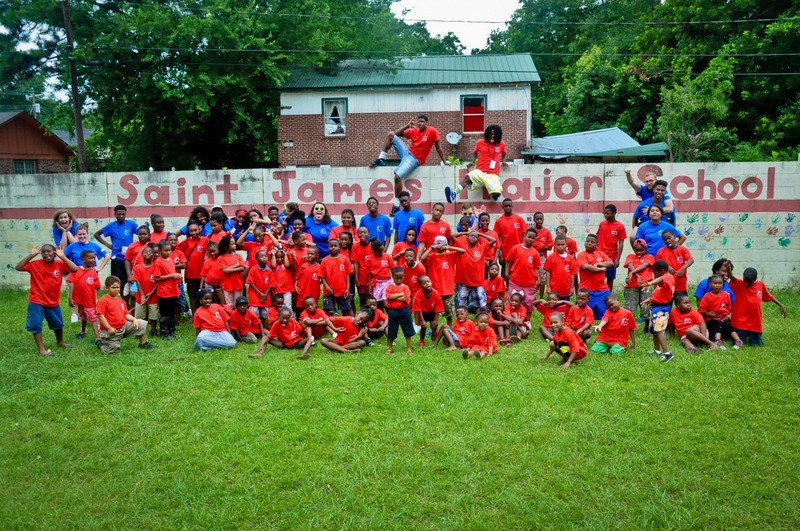 I was at Camp Hope in Prichard where children seek attention that they do not receive at home, children seek love that they are without, children release anger because they are hurting, and children act out because they have no structure. I was at Camp Hope again this summer to remind me that these children need love, attention, structure, and a person that truly cares for them in every second of the day. After God redirected my focus, when I went to camp, I forgot about everything that was going on in my personal life, and I turned everything over to God. I asked Him on my drive to camp every day to keep me focused and to help me spread love and life to these children. 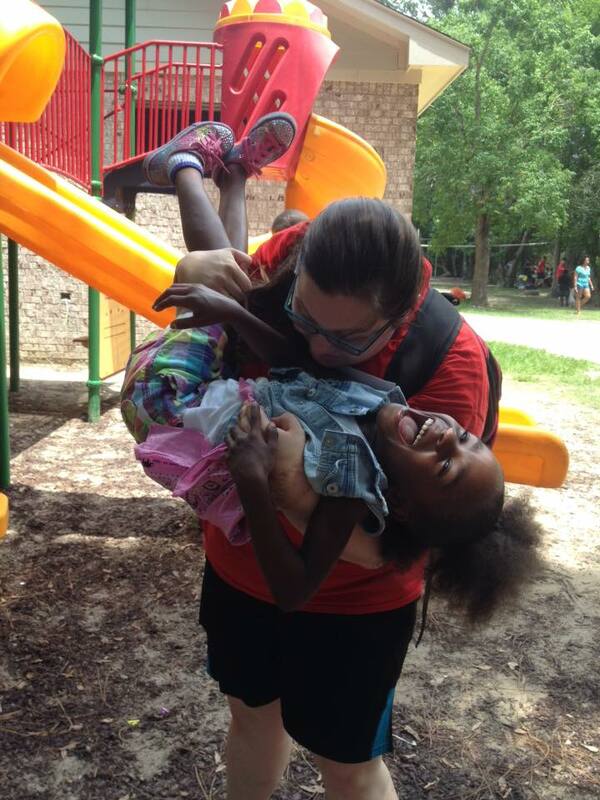 From that moment on, I found so much joy at camp, and I felt my heart exploding with love for these children. My Bible studies went much better and my girls’ curiosity to learn more about God drove me. Art began to run more smoothly and the kids enjoyed every craft they made. And mostly, I built relationships with children that I love dearly and will miss now that camp has come to a close. So why was I at Camp Hope? The answer isn’t as simple as me learning, but God called me back to camp this summer for me to learn how to fall in love with these children for who they were and who they have now grown to be in a very short seven weeks. I wouldn’t have made it through this summer if God had not shown this to me, but in the end, he didn’t reveal this to me for my sake, but for the sake of all of the kids at Camp Hope. What they need is far greater than what I need, and I can only continuously thank God for allowing me to give my love, teach His Word, and receive the most beautiful kind of love from His children this summer. It’s January of 2015. I have just started a journey that will change my life, but I am oblivious. I go in the main LOV building for the first time, and I feel a wave of energy hit me like I’ve never felt before. Kids are running, yelling, laughing, and playing, yet I can’t think of a time when I ever felt more comfortable and peaceful. It’s exhilarating. By the end of that day I knew I would be coming back again Thursday. And by the end of Thursday, I knew I would be there all semester. 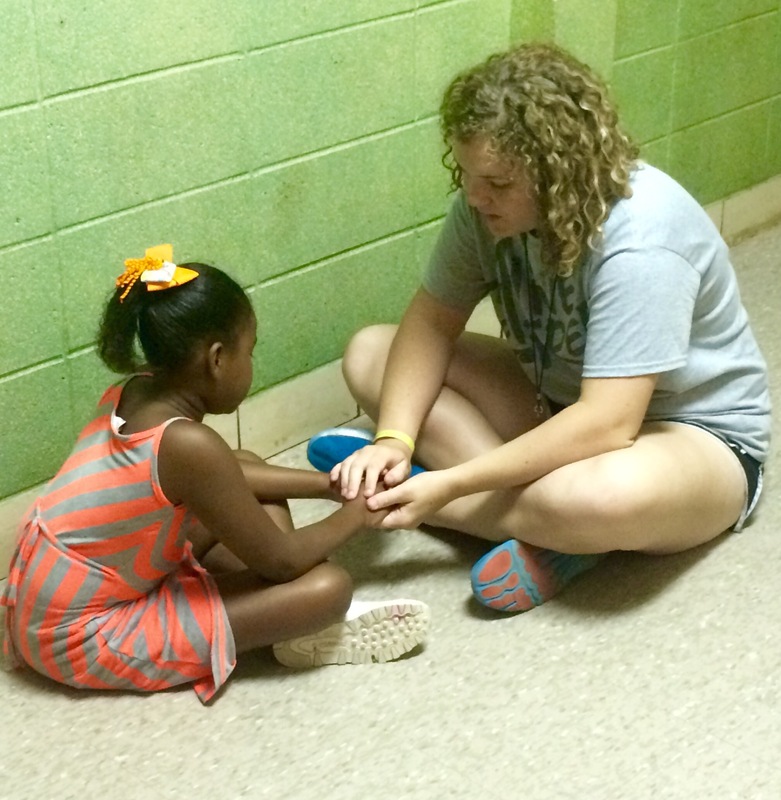 In that semester, I not only met some amazing kids and staff but, most importantly, I met God. He made His light visible to me at LOV, and I finally accepted Him into my heart. Fast forward to April, and I am completely in love with LOV. I put in my application for a summer internship, again oblivious to the impact it would have. In fact, I wasn’t even sure I would be hired considering I had just come to know Christ myself. But the Lord works in mysterious ways. I was hired and I was trained. I was given a group and an amazing partner. I got my t-shirts, and I planned my games. And on June 9th camp started. Boy was I unprepared! Not that we didn’t get great training, but nothing could really prepare me for the numbers, energy, and ATTITUDES of the children. Working with a team of amazing, Christ-loving people made it easier, and the smiles and laughter of the kids made every struggle worth it. About half way through camp I came to a very intense realization. I finally understood the feeling that I got every time I came to work. It was belonging. I belonged there. This was my purpose. Romans 8:28 says that “all things work together for the good of those who love God and are called according to His purpose for them.” That verse strikes home for me. Since I came to LOV my life has come together. I love God, and I now understand my purpose. There is nothing more I could possibly ask for. I can’t wait for this next year to see what it holds, and I can’t wait for next summer when, God willing, I will return home to LOV. They say, “a picture is worth a thousand words.” At Light of the Village, we are blessed with two amazing things: many beautiful faces to photograph and a very talented volunteer photographer who has been working with us for years. While I don’t disagree with the old adage, and we certainly have TONS of photos to back it up, at Summer Bible Camp, there are so many beautiful moments that we can’t capture in photographs. There are so many things that are said, so many ways that the Spirit is moving, that we can never capture in an image. So I wanted to take time to do something I don’t do often enough: write. I need to mark a few moments down as stones of remembrance of all the Lord has done this summer. I love this story involving a little girl I’ve probably known her whole life. One morning I popped in on the Littles’ Bible study and listened as the intern asked his group why we pray. This particular girl responded, “we can pray and ask God to forgive us.” This was a powerful statement for her to have made because just one week earlier, the same child prayed and asked God to forgive her for wronging another child. How neat that she learned such a fundamental principle of the Christian faith by putting it into practice…and it STUCK! 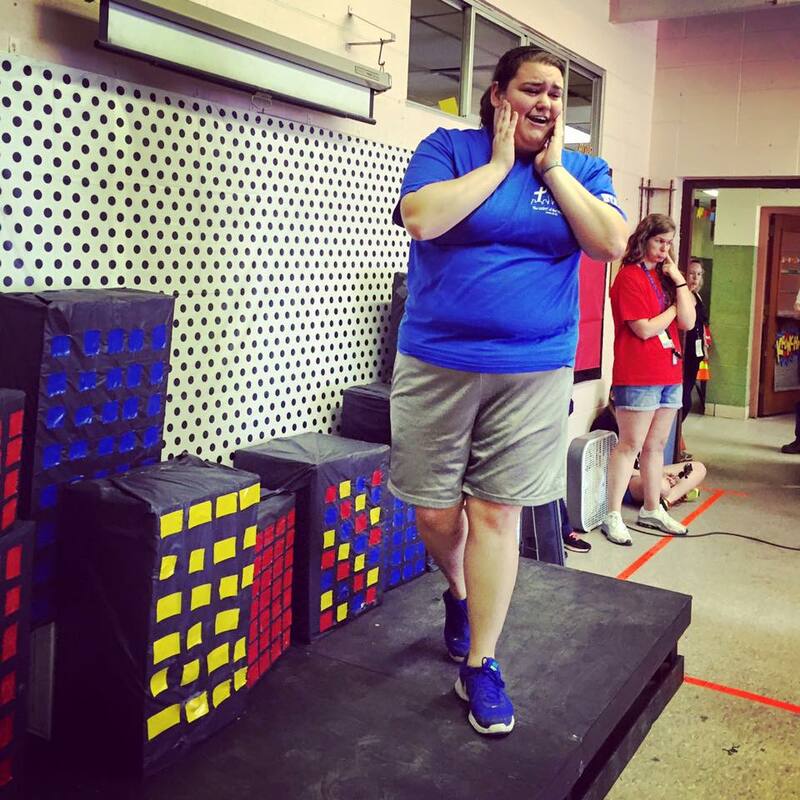 Another moment that I hope to remember for a long, long time was when one of our TeenLeaders approached me with a look of grave concern on her face to tell me that she had a problem…with me! I didn’t quite know what to make of that statement at first, but as it turned out, she was hurt by the way one of the Older Boys had disrespected me and cursed at me. She said, “Morgan, you’re one of the nicest people I know, and all you’ve done is be kind to him.” She couldn’t understand how he could be so disrespectful to me. She was so upset I think she nearly cried. But I will never forget how the Spirit moved in that moment, and suddenly I had the opportunity to illustrate for her the love of Christ, that he, the One who had done no wrong, would lay down His life for such unappreciative rebels. I have been at LOV for eight years and never have I seen an individual express such concern for my personal well-being. I can only attribute that to the Holy Spirit, His work in her heart, and answered prayers for divine appointments. I have enjoyed so many moments in the car with TeenLeaders talking about the truths they are excited that the kids are learning, how encouraged they are when the kids seem to be “getting it” or conversely how discouraged they are when the kids won’t listen. And there have been countless moments this summer where I’ve seen an intern and a child having a one-on-one conversation and praying together. I have been blown away this summer watching our interns pour and pour and pour into our kids this summer through their conversations. But it certainly hasn’t been all rainbows and butterflies. There have been moments this summer that have reminded us where we are and why we are here. One morning after Bible study, a Kinder prayed and thanked God for protection that one time bullets flew over his head at home. Another time an Older Boy cried in my arms for minutes that seemed like years as he feared for his mother’s health. And yet another time an Older Girl shared with me that her older brother was incarcerated and her father had passed away, but that she feels like God is her Father, and He hears her when she shares her problems with Him. 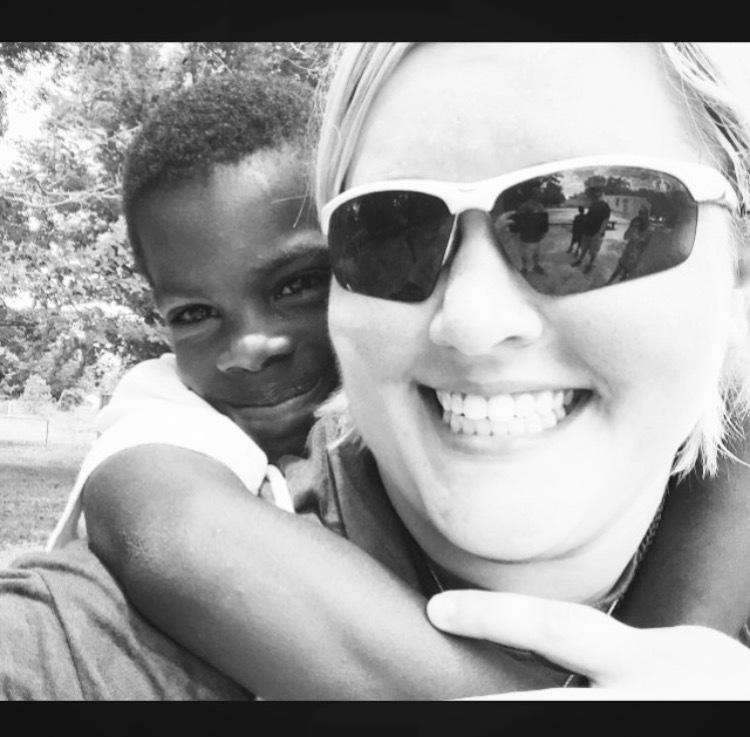 I feel as though God has given us the opportunity this summer to live out Matthew 19:14, “let the children come to me, and do not hinder them.” They have come, and they have been loved well because God purposed it to be so. The enemy has tried to throw us more than one bad day this summer, but God has taken those plans and turned them around and used them to teach our children how to do good even when it’s hard. There was one day we had a fight in the hallway before camp even began. It was during the week we were learning about the Armor of God. The fight served as the perfect illustration of how Satan has a plan for us and desires to use us to accomplish his purposes. But God also has a plan for us. And we have to “put on all of God’s Armor so that we’ll be able to stand firm against the schemes of the devil” and walk in God’s plan for our lives. And a final favorite of the summer was when one of our Middle Girls got in trouble (not for the first time of the summer, mind you), and I took her outside to stack tires as punishment. Once the job was completed, we sat down to talk. I observed that her hands were black from handling the tires, and was led to relate the filth on her hands to the unclean state of our hearts apart from Christ. Later that week, the same child was in trouble again. But this time, an intern felt led to take her outside for the same punishment. Only this time, he took the punishment for her. Though she begged him not to, he would not let her do her own punishment. He made her sit as he stacked all of the tires that she should have had to stack. And when the job was finished, he showed her his hands and explained that he took her punishment even though he wasn’t the one who had done wrong just like Christ took her punishment even though He hadn’t done wrong. That same child prayed to receive Christ the following week. It is in moments like these that there is truly no place else in the world I’d rather be because I have front row seats watching God at work. A friend of LOV casually said to me this week, “you lead a rich life.” And it’s true. There is no greater joy than being a vessel of the Most High God. Though there are no photographs to show how faithful God has been this summer to keep his promises, or to answer our prayers when we’ve cried out to him, or to continually equip his servants to do His work, I will mark down with stones of remembrance that this summer I saw firsthand, though not for the first time, that He is sovereign, He is good, and He is at work here. As camp draws to an end, I cannot help but reflect over the summer. This being my second summer, I find myself reflecting back to last summer as well. Last summer I realized that it was Jesus Himself who was working in the Alabama Village and Jesus Himself who called me to work camp. While I know the answer is always Jesus, there are still some things I just cannot explain. I still cannot explain why I am still here. As I watch my eleven to fourteen year old boys squirt their art project (made with water bottles) to make it look like they are peeing, I question why am I still here? As every kid passes me and necks me (slaps my neck), I question why I am still here? When half my group changed my name to Cody, I questioned why I am still here? As I struggle to teach a Bible study or ashamedly fight the urge to body slam a kid, I question why I am still here? As my court games do not go exactly the way they are supposed to or as our assembly games fail, I question why I am still here? But at the same time I see my group having fun and laughing. I see how a few of my guys answer Bible study questions and actually get it. I see the smile on the kids faces as they play on the court. I see my guys joking around with me and each other. 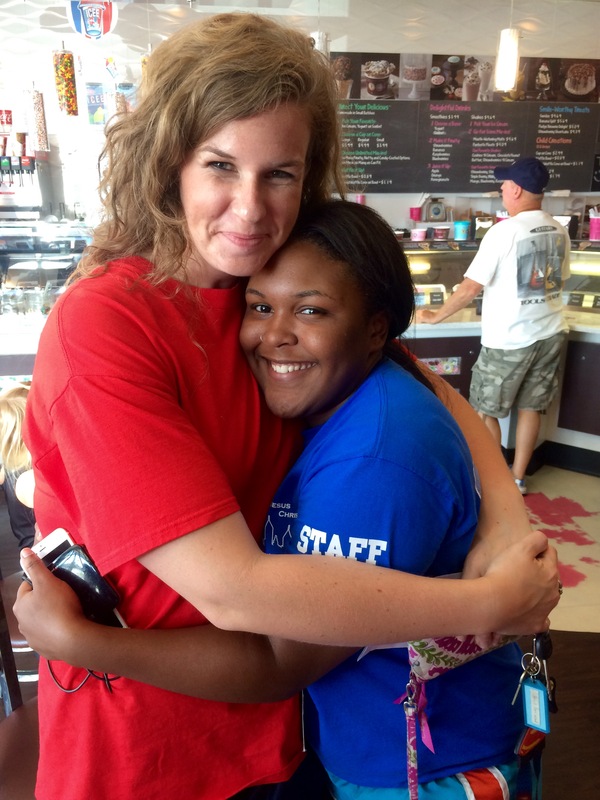 I see the TeenLeaders building relationships with the interns and opening up. I see that each of the guys in my group has dreams, to be engineers, or welders, or nurses, and of course NBA players. And as Mordecai questioned Esther in 4:14 “And who knows but that you have come to your royal position for such a time as this?” I feel Christ has kept me here a second summer for such a time as this. God could have sent anyone to work camp this year but he wanted to use a time as this to use me for his kingdom work and even more importantly teach me what it means to be the light and to love. God has truly took this summer as an opportunity to give me hands-on ministry experience and as crazy as it sounds even a time of rest before I enter the academic world of ministry in seminary. And again I can explain it. Christ is the reason I am still here, because not everyone can do what we do, not everyone wants to do what we do. It truly takes a call from God.